Address: 1 Chome-10-14 Nanbanaka, Naniwa Ward, Osaka, Japan. I stayed in Yoshi’s House in Osaka, Japan. I booked online and picked it out for its proximity to Namba Station, one of the main transport hubs of Osaka. 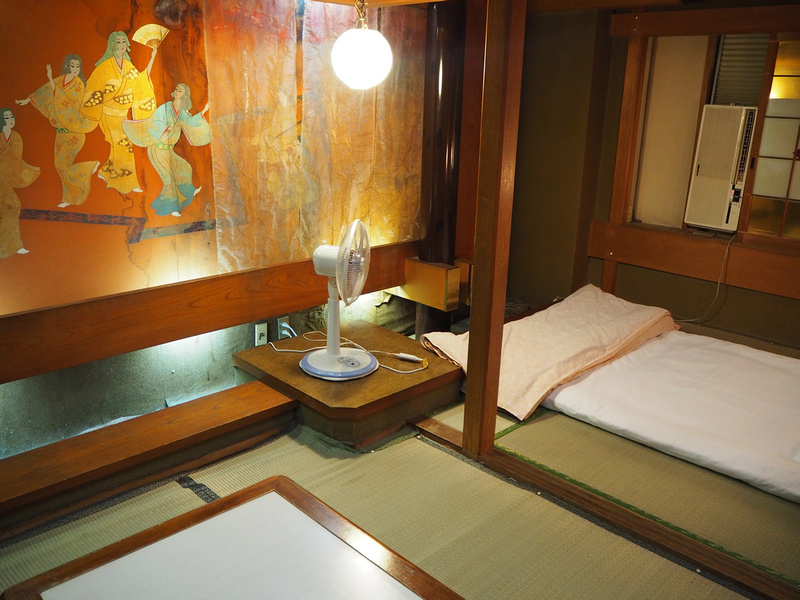 It’s hard to find a cheap single room in Osaka, so I was surprised to find such a cheap deal. 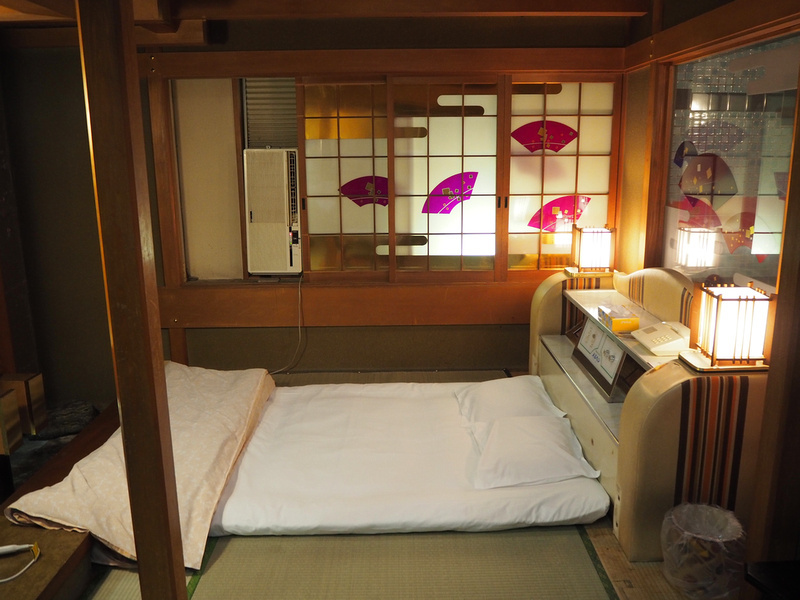 My rate was 5,430 JPY ($48.92 USD) per night. The guesthouse had mixed reviews online, and from the photos I had no idea what to make of this place. 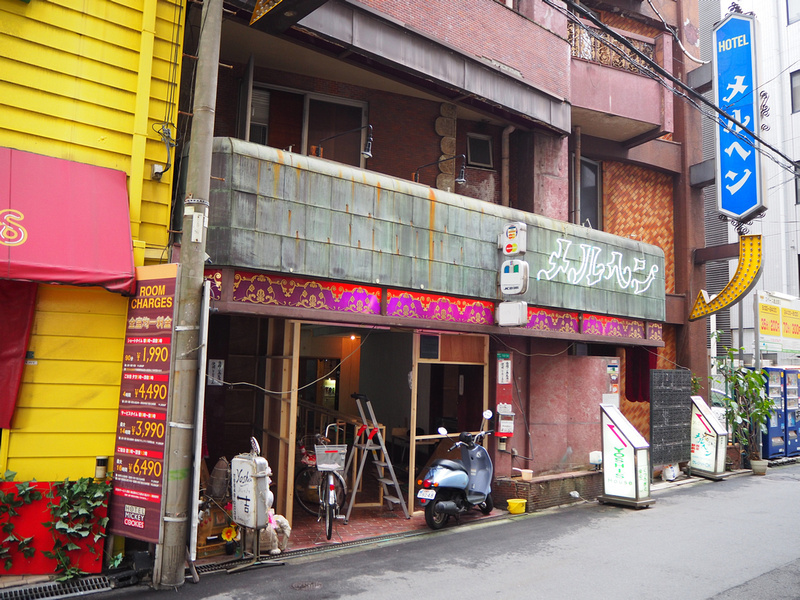 It turns out that Yoshi’s House is a former love hotel that has been turned into a guesthouse. 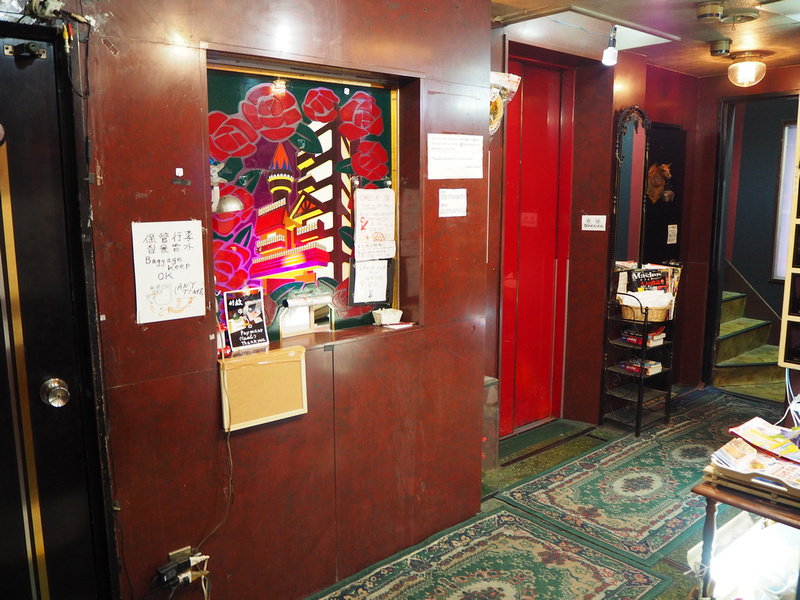 A love hotel is a hotel that specialises in short-term rentals (ie by the hour) and cater for couples that are living in cramped apartments with their parents or children. 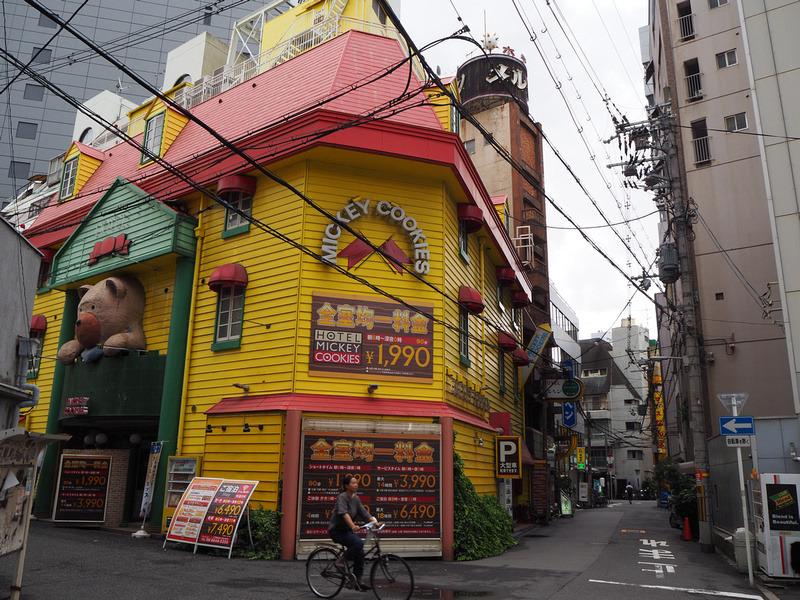 Yoshi’s House on a small side street which is lined with love hotels. Just look for Mickey Cookies and you are in the right neighbourhood. The hotel/guesthouse has a mish-mash of styles outside and inside. I arrived in the late morning and there was no one at reception. There was a note saying you can store bags in the luggage area, so I did that and came back at 2pm. Eventually the proprietor turned up, and he showed me a list of names that had made a booking. I pointed to mine and collected my key. Upon entry into the room there is a hallway with the bathroom sink. From here is the entry to the bedroom, toilet, and separate bathroom. My room was more like a studio apartment, and certainly wasn’t expecting so much space for a cheap room in central Osaka. The bed was a futon, which turned out to be too hard for my tired back. Fortunately there were other futon mattresses folded up in the corner, so I used them to add a bit more cushioning. As you can see from the height of the bed head, there was most likely a mattress bed here. The bed head showed tell-tale signs that this used to be a love hotel. The room had no windows to the outside so it was gloomy inside. The big wall was also water stained which added to the dungeon-like feel of the room. There was a fan and A/C unit in the room. I was there in July and the room was hot if the A/C wasn’t running. It was an old and noisy thing too. 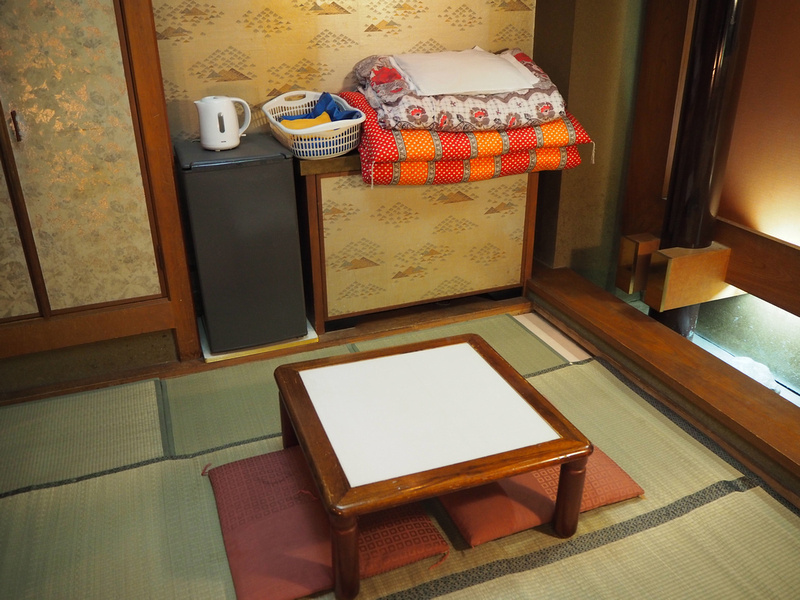 The other side of the room had a little Japanese-style table set, along with the fridge and tea and coffee facilities. Like the reception, the room was busy with mis-matched decorations, and despite the ample space the wooden ceiling beams were so low I had to duck to walk around. Japan is famous for its high-tech toilets that spray heated water in the right place while playing noise-cancelling sounds for modesty. What I didn’t know was that there are still places that have the old-style squat toilets. I had never seen this in Japan until now, and my heart sunk a little to see this contraption that has given my knees so much trouble in Southeast Asia and India. And to make it even weirder the wallpaper felt like it was made of sandpaper, as if to discourage people like myself who have difficulties squatting to need to grab onto something. Usually when I am out and about travelling, I would avoid going to a public toilet if I was nearby my accommodation. This was the first time I considered going outside to take a poo. There was a Takashimaya department store five minutes walk away, so I had considered that if I got desperate. 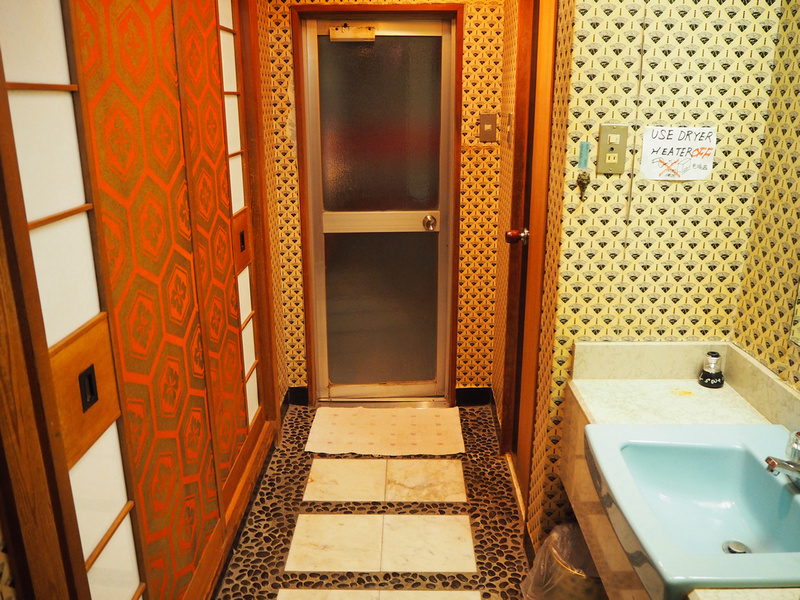 Most budget places I’ve stayed at in Japan have the toilet and shower in the same tiny room. The bathroom at this place was as big as the entire room of my previous Osaka hotel room. 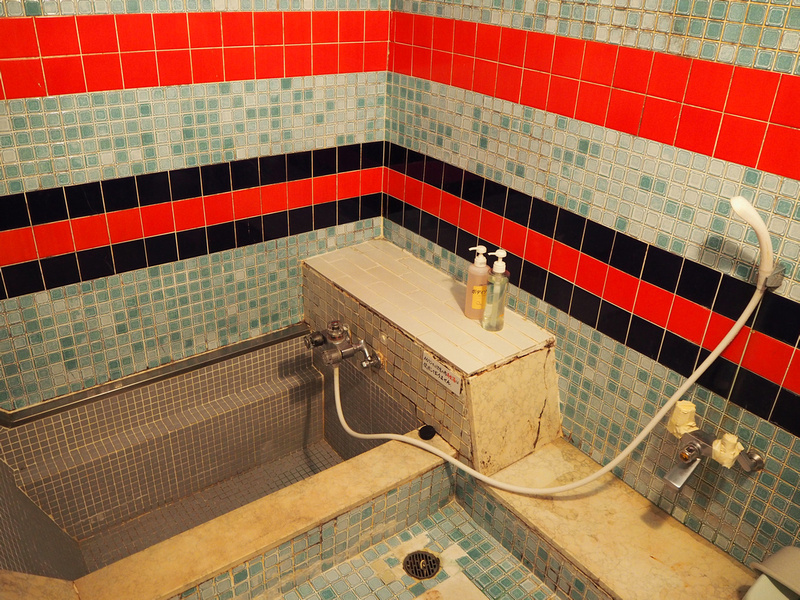 The bathroom was a big wet-room, with a sunken bathtub, and the floor area being for showering. 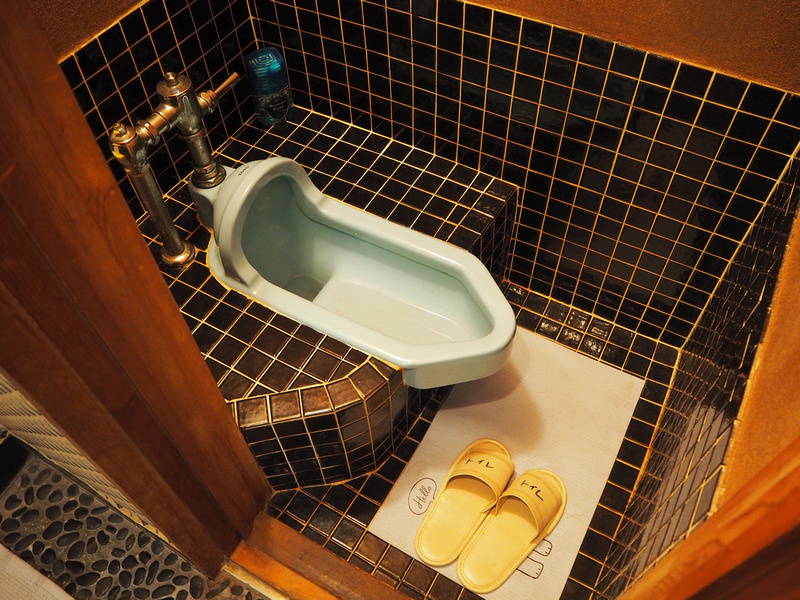 The Japanese style is to sit by the taps on a little seat and wash yourself, though I just showered the usual way. I couldn’t get the hot water to work so it was cold showers for me. The best feature about Yoshi’s House is the location. I picked it because I had an early morning flight from Kansai Airport, so I wanted to be able to get to the airport train easily. It’s a five minute walk to the station, all above ground and without having to navigate the underground walkways. 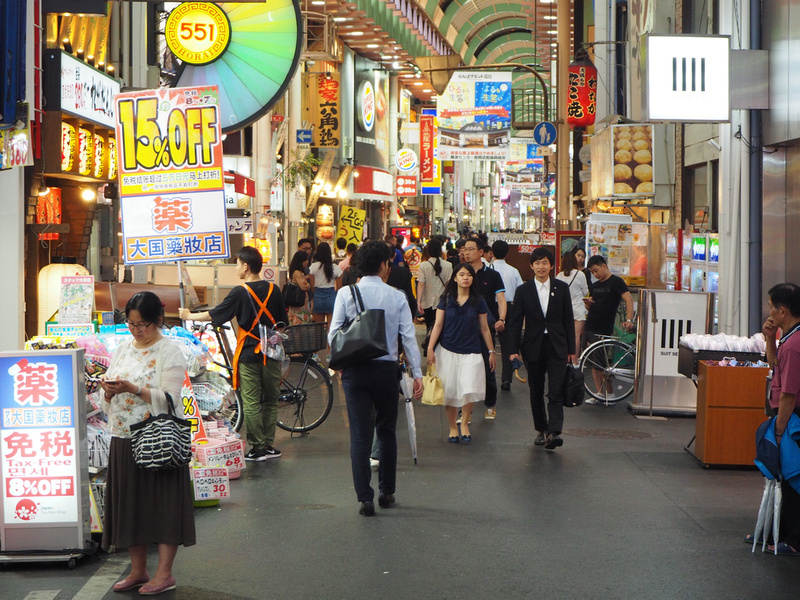 Also nearby is the famous Dotonbori river and pedestrian area with its bright lights and many places to eat. Overall this was a hard place to stay at and I wouldn’t stay here again. 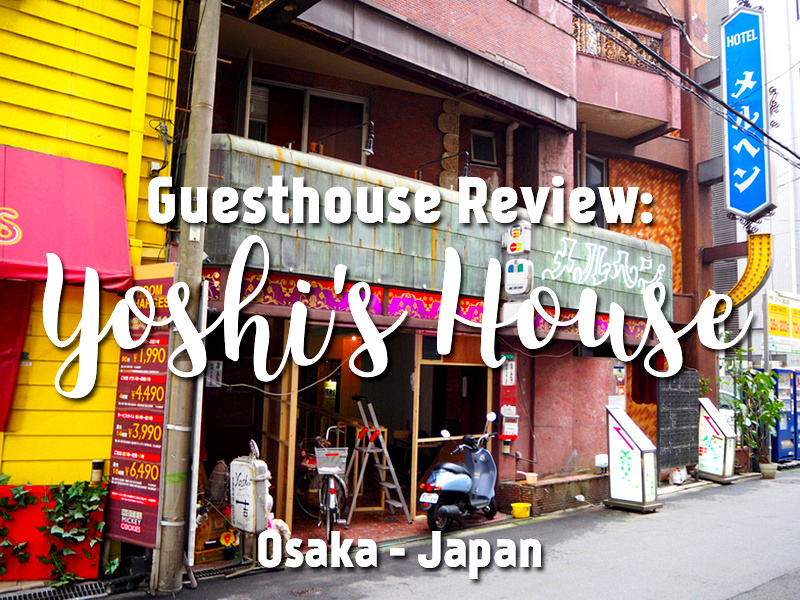 Book Yoshi’s House online or search for more hotels in Osaka.